Buying a home in Fredericksburg and Stafford, VA and surrounding areas is an important decision that can make an enormous difference in your lifestyle. It is also the biggest financial decision you may make may make. There are some specific things to consider about a home to buy. • Be realistic: There are no perfect homes. Although there are homes on the market in Stafford, Fredericksburg, King George and surrounding areas you will need to decide what is important to you and make sure you find a home that has the features you require. Be prepared to compromise on some of the items on your wish list. • Decide on a price: Get pre-approved for a loan, not just prequalified. Consider not only the amount of the loan the lender will allow but also what you feel comfortable spending every month. Take an honest look at your budget. • Choose carefully: Buying a home is much more permanent than renting. Purchase a home that you are prepared to keep for a while. Select a home that will be reasonable to maintain, in both utilities and/or repairs. • Build up to your dream home: Most people nowadays buy more than one home in their lifetime. The average turnaround time is seven years. Buy a home you can afford today. Fredericksburg and Stafford homes hold great value. The rule is the closer you are to Washington DC the more you will pay for a home. Regardless where you purchase your home start to build equity, and then you can trade up or even build your dream home. 540-834-6924 or email me when you are ready to take the next step. This new guideline also applies to homeowners who have had a foreclosure. Additional Short Sale information here. The market is heating up many are saying 2019 is going to be a great year for sellers. What is the value of your home? Find out today call Pam Martin 540-834-6924 with eXp Realty, Fredericksburg Virginia. Ask about how The Pam Martin Team can sell your home in Fredericksburg Virginia. Your search is over! Pam Martin Team with eXp Realty in Stafford and Fredericksburg Virginia is an award-winning team selling more homes in 2018 than most Realtors sell in 7 years! Regardless if you're looking to list your home in Fredericksburg, Stafford areas in Virginia we are equipped to handle any type of your Real Estate needs. Top Realtor Pam Martin and her Team specialize is getting your home sold in Stafford and Fredericksburg VA. Regardless if you're looking to sell or purchase its a great time of year to purchase. Keep in mind if you're looking to sell your home only buyers who really need to move are looking during the holidays. What a perfect time to show off your home for the holidays. 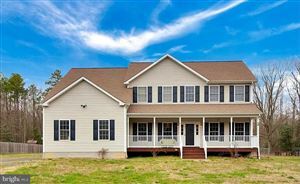 We are really excited about what we are seeing in 2019 in the Fredericksburg Real Estate market it is heating up and we have the experience, commitment, and knowledge, to assist you with your residential real estate needs including Short Sales in Stafford, Fredericksburg, Prince William, Orange, King George, Caroline. If your wondering your homes value just click here this is a great free tool that will provide you with your homes value instantly... regardless if your short selling your home, this tool is a quick, and free tool to find out the value of your home in Fredericksburg. Whether you are looking to buy, sell, invest, or rent, we are here to assist you every step of the process. Through our years of experience and countless transactions, we know what works and what works in the current Fredericksburg Virginia Real Estate Market. DO NOT WAIT! Call us at 540-834-6924 for a free, no obligation consultation and let our experience start working for you today! Fredericksburg Trend Home Buy Granite or Quartz?